Happy Wednesday (Hump Day!). I know I am a day late but better late than never right? Here is the follow-up post to the video blog I posted on Monday talking about the fall trends for this year. Below you will see some examples of the trends I talked about looking out for when you are shopping & that you should invest in. 1 - Matte Nail Polish: Get it in any color. Pretty because there is no shine to it. 3 - BB Cream (a.k.a time & money saver in a bottle): It is foundation, sunscreen & anti-aging cream all-in-one! Much better coverage then tinted moisturizer but not cakey like foundation. 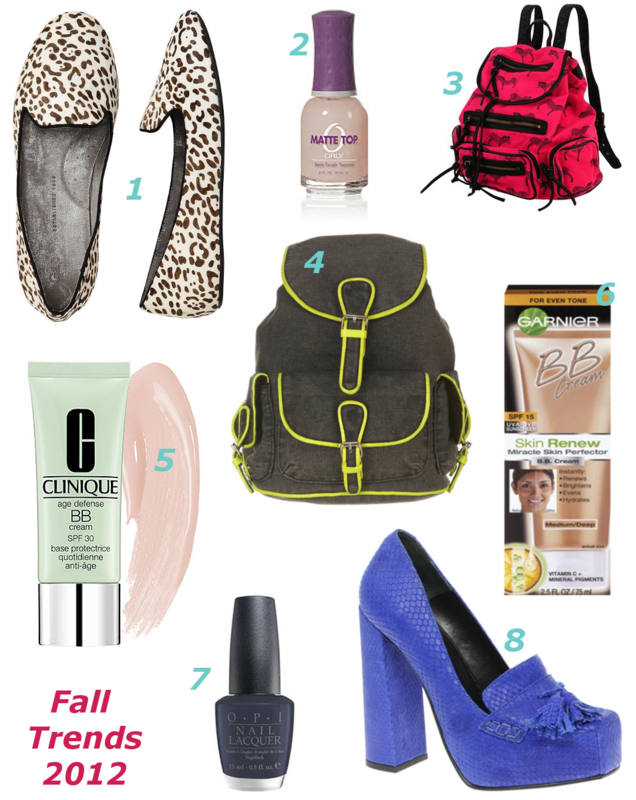 Those are all of the items from Part 1 of the Fall Fashion 2012 Must-Haves. Next Monday I will be back with Part 2 containing more fall goodness. 60 degree weather please get here soon!!! I'm definitely going to be buying some matte polish and loafers! Found your blog via your Sandy a la mode guest post! Love your style and posts! 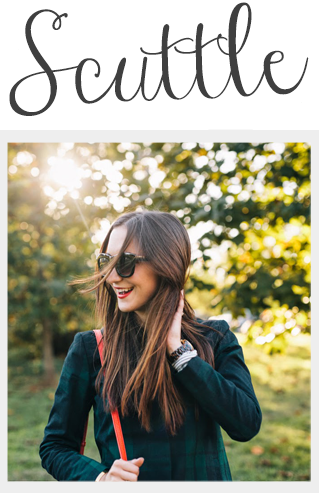 Can't wait to see what you wear next (following with Bloglovin)!! Hi Holly! Just found you through Sandy a la Mode! I love your picks here! Matte nail polish? I'm sold! should be banned as a fashion blogger b/c i don't even own a single pair of loafers!? that really needs to change!! I want that nail polish!!! So cute!